Tomorrow, I leave for Kazakhstan. It’s my fourth trip this year with one more to go. At this point, I can make it with my eyes closed. The security lines at Dulles, the stopover in Frankfurt and the final checkpoints in Astana before heading to my temporary home for Expo 2017. It’s a long trip, and though I’m not one to complain about travel, it can certainly be grueling. 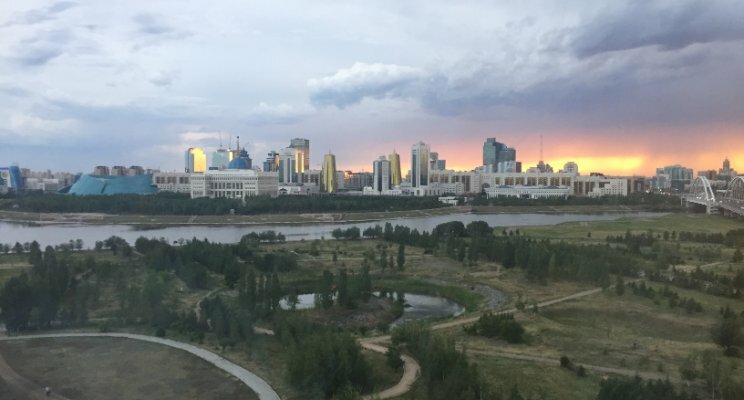 But as I get ready to make the long, hard slog back to Astana, there is one thing that keeps me going more than any other: the idea that right now in these increasingly complicated times, events like Expo 2017 are more important than ever. Odds are, if you haven’t visited Expo 2017, you probably won’t. There’s only a few weeks left before this three-month event ends, and for most people, Kazakhstan isn’t exactly right around the corner. But once you’re there, Kazakhstan is a lot closer to the rest of the world than you’d think. More than 110 countries have their own pavilions on the Expo grounds. Each has their own ‘National Day’, where they can showcase a piece of their own national culture or story to the rest of the world. Many have representatives from their own nation there to help convey that story in person, and almost all are using Expo as a platform for social media interaction on a global scale. Expo 2017 is a reminder of the close proximity of our world at a time when it seems to be increasingly farther apart. It’s an example of what can happen when peoples come together and show who they truly are as people. It’s proof that the threats posed within 140 characters can be countered by the impressions made during a short conversation over tea or a beer. The closing weeks of Expo 2017 are also a reminder that such global convenings are too rare and usually too elite. For a select group of people, these gatherings are common-place. World Economic Forum events in Davos and China, along with the usual flurry of activity during U.N. General Assembly week and a string of others across the globe give opinion leaders in the worlds of business and government opportunities to break down barriers and build bridges; but that’s not enough. We need more Expos. We need more opportunities for people who can’t jet to Switzerland to meet people and for lines of understanding to occur. So how do we do it? For one, social media must play a large role. The social media accounts used by the USA Pavilion at Expo 2017 have reached hundreds of thousands of people since early June, allowing us to touch people who simply can’t make it to the Expo grounds in Astana. Facebook and Instagram aren’t just apps on our phones, they’re their own languages, and universal ones at that. The actual words may be different, but ‘selfie’ is ‘selfie’ in pretty much any language. Beyond digital, we must find ways to fund more physical convenings across the globe. For governments, it’s an opportunity to tell their story and connect with people on a level just as powerful as any embassy can provide. For businesses, it’s a chance to connect values with consumers and open markets through people, not just formal regulatory structures. In 48 hours, I’ll be in Astana. I hope that in the months and years ahead, thousands and millions more get the opportunity to get off their own plane, shake off the jet lag and connect with someone they’ve never met.